August 12, 2013  A deposition related to the suit led to widespread criticism of Deen and cost her sponsors and her Food Network TV show. 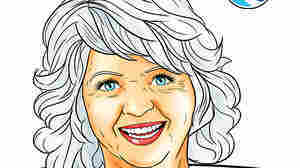 June 29, 2013  Pre-publication orders for Paula Deen's New Testament: 250 Favorite Recipes, All Lightened Up, had made it No. 1 on Amazon. But the controversy over her past use of racially offensive language has led many of her sponsors and TV broadcasters to cut their ties. Now, that cookbook is being shelved. June 28, 2013  Also: Dan Savage on stealing books; new works from Amy Tan; Jamie Oliver reads an entire book for the first time. June 26, 2013  "I believe that every creature on this earth... was created equal," Deen said in an interview with the Today Show. June 25, 2013  Bobby and Jamie Deen say their mother is the victim of character assassination. 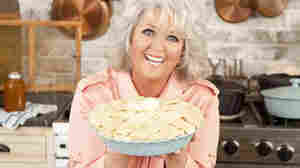 Their defense comes as the queen of Southern cooking continues to lose endorsement deals. But not all of Deen's business partners are abandoning her, nor are all her fans. 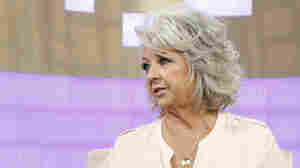 June 20, 2013  Some people are ready to batter and fry the Food Network star after reports that she admitted in a deposition to using racial slurs in the past. But there's other, well, interesting stuff in the deposition transcript. We share some of it here.